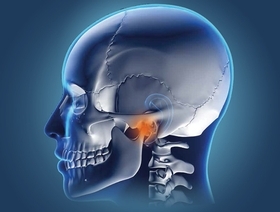 a particular focus on the exact impact on the pathology of the jaw and tooth position. Any dentist and orthodontist with their team members who want to raise their TMJ knowledge and habilities to diagnose, intercept and treat complications and diseases with stronger confidence and control. For all dentists members of the ODQ, dental continuing education policy states that each hour of lecture grants 1 CE Unit, and that each hour of “hands-on” training grants 2 CE Units. For all dental hygienists members of the OHDQ, dental continuing education policy states that each hour of CE activity (lecture or hands-on) grants 1 CE Hour. International Dental Institute is an ADA CERP recognized provider. ADA CERP is a service of the American Dental Association to assist dental professionals in identifying quality providers of continuing dental education. ADA CERP does not approve or endorse individual courses or instructors, nor does it imply acceptance of credit hours by boards of dentistry. Contact us or log on our online registration website for more information about our payment options. *Plus all applicable taxes (Canadian GST = 5 % and Quebec PST = 9.975 %). A credit card deposit is required as a confirmation, and the balance must be paid at the latest 14 days before attending the seminar. Program content is subject to change without notice. Please note that the 25% deposit is non refundable due to commitment of fixed expenses related to this special event. Obviously, your deposit will be refunded if we cancel the course. Space is limited, therefore no refund or transfer will be processed within 14 days of the course. Orthodontiste avec un intérêt pour la fonction optimale des ATM. La Dre Menzel est une sommité mondiale dans les traitements d’orthodontie respectant la fonction globale. Elle parcourt la planète depuis la dernière décennie changeant la pensée sur les relations orthodontie et fonction de l’appareil manducateur. Sa philosophie minimise les traitements avec extractions. Elle préfère les traitements de stimulation de croissance utilisant des forces qui supportent la fonction de la langue, des lèvres, des joues et de toutes les structures orales, autant chez l’enfant que chez l’adulte. Dre Menzel concentre ses traitements sur l’harmonie des structures en modifiant l’occlusion d’une position souvent potentiellement dommageable vers une nouvelle position plus fonctionnelle et ce sans perte de temps. Ses dernières présentations couronnent sa renommée internationale. Ce cours se veut un cours d’orthodontie-ATM pour tous ceux qui pratiquent l’orthodontie autant chez les adultes que les enfants.